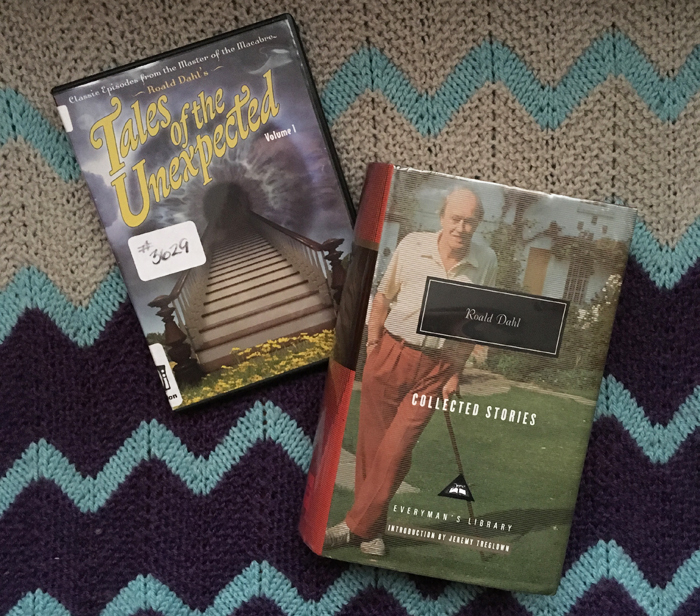 My author study of Roald Dahl started with a reading of his Collected Stories while watching the accompanying episode of Tales of the Unexpected. Each Friday I'll recap a story and show (with spoilers, just so you know), but I encourage you to read and watch them on your own if you're interested! This is an incredibly weird, Twilight Zone-y story about a philosopher who is very ill and dying. He is approached by a neurosurgeon he knows from working with him at the university. The neurosurgeon convinces the philosopher to donate his brain to science, and the neurosurgeon is sure he can keep it alive. The neurosurgeon works to explain to the philosopher how it will work, how they can even take an eye so the brain can see, and how nothing would be lost if it doesn't work. This is all happening while the philosopher's health is declining. The reader only finds all of this information out after the philosopher's death, at the same time as his wife. She gets a letter a week after her husband has died, laying out all of this information in his own words. He tells her who to contact to visit his brain, if she chooses. The wife has been unhappy throughout most of their marriage, but decides to contact the neurosurgeon and check on the status of her husband's brain. It's there, in the lab as he described it would be in the letter. It's hooked up to things that keep the brain alive and eye functioning, so he can see his wife as she approaches the tank. This is an interesting take on life and thoughts and what it's all worth, and how it could all work. The film is quite different from the book, since the bulk of the story is told through the letter the wife gets after her husband's death. This had to be changed so the film wouldn't be boring, watching a woman read a letter while listening to a voiceover. Instead, all of the backstory is presented by the neurosurgeon to the wife, but this presentation lessens some of the shock that comes from reading the story. While the background is given, we are shown footage of a similar experiment done to an animal that succeeded, so some of the wonder of "will it work?" is lost. The story ended with the wife wanting to take her husband home, but in the film she gets him and it's a bit hokey to see the whole set-up in their living room, with the wife sassing the brain. I like the ambiguity of the story more, but I guess the shock factor and the definite ending were needed for the film version.